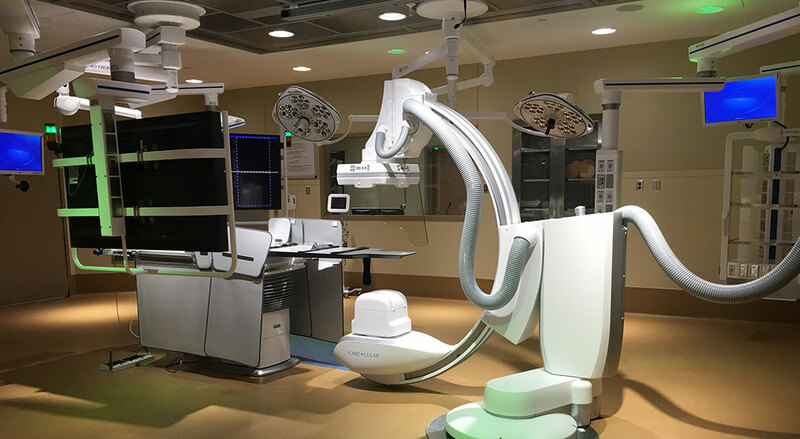 This $4.2 million dollar project created a state-of-the-art, and the first of its kind, hybrid operating room suite in the VA’s healthcare system. 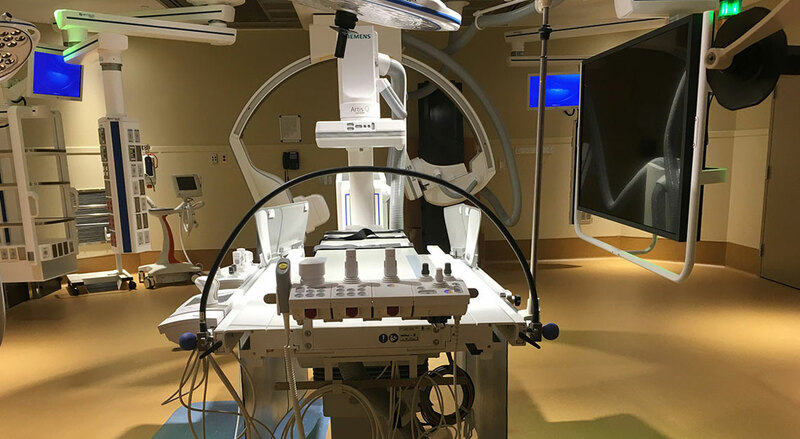 Hybrid ORs allow surgeons to perform minimally invasive procedures with higher diagnostic and procedural resolution. This allows for shorter stays and quicker recovery times for patients. 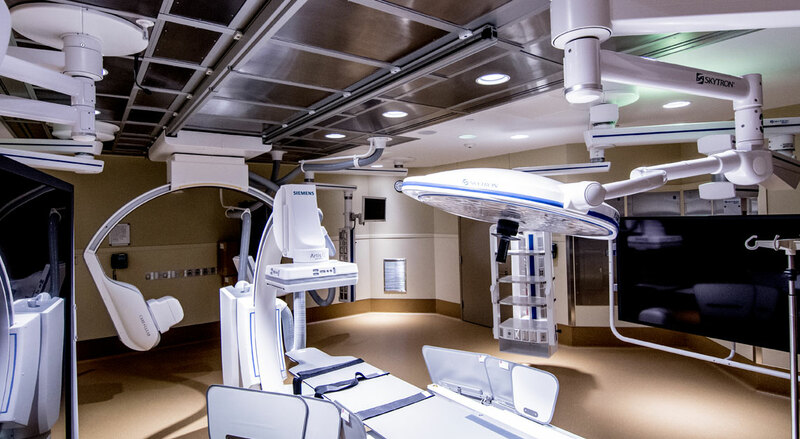 As with Phase I of the surgery center, Versacon worked closely with the design team, facilities management, and nursing staff to coordinate any required shutdowns. 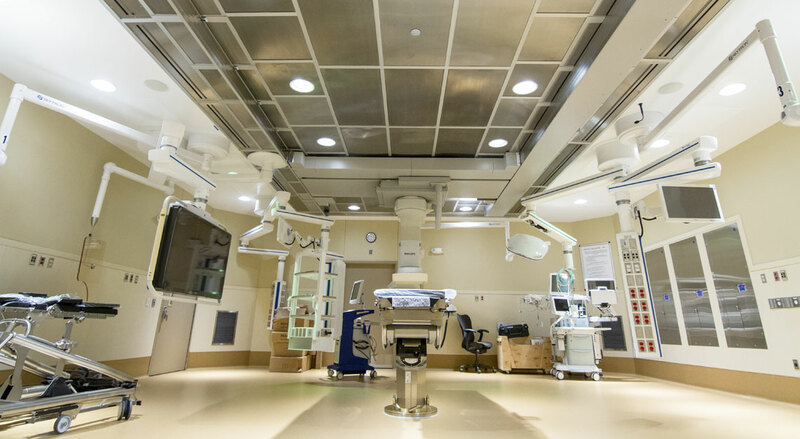 Infection control, patient safety and coordination were of the utmost importance and were key to the successful completion of this complex project. Construction took place next to 18 still fully-functioning operating rooms directly in the heart of the hospital. This job consisted of the complete demolition of the existing outpatient surgery suites, and included removing structural steel and an interstitial deck gypsum floor. Versacon had to relocate all medical gases, HVAC supply and return ductwork, hydronic piping, controls, plumbing and electrical systems. 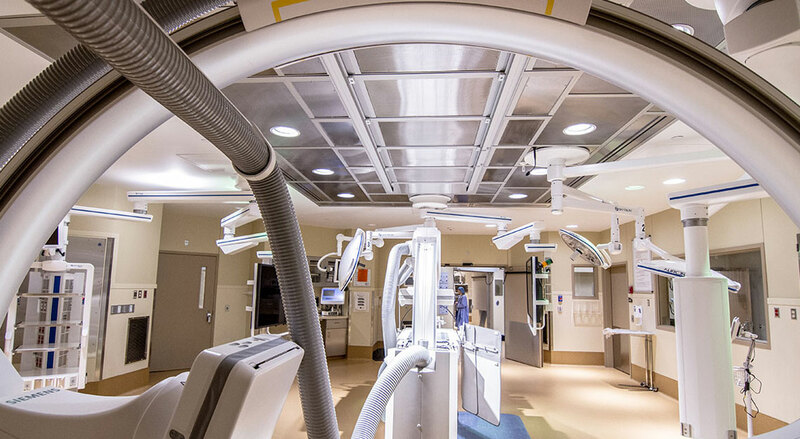 Once demolition was complete, the complexity continued with the building of two new hybrid operating rooms and the site preparation for a vascular/cardiac x-ray system in each of these rooms. 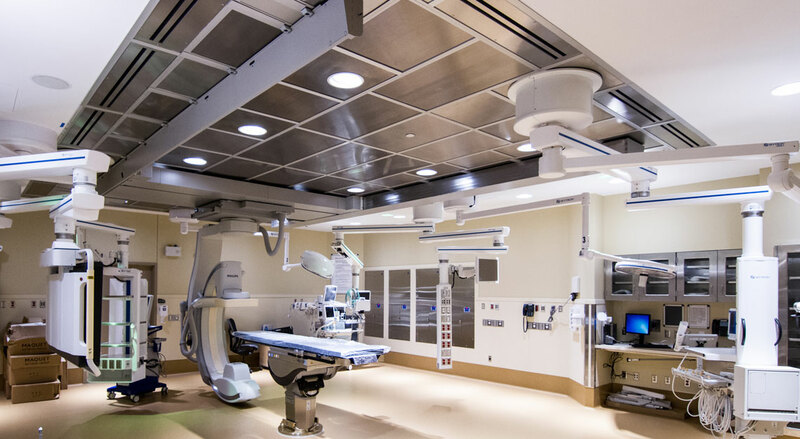 Once the interstitial deck was removed, we raised the deck floor height eighteen inches to make space for new equipment and installed structural steel for the new interstitial floor and supports to hang Phillips & Siemens x-ray equipment and for several ceiling mounted Skytron booms. These booms required medical gases, power (normal and emergency) and low voltage. Once the deck floor was raised, a new 4,000 SF interstitial deck was poured. Upscale finishes were used throughout and included new resilient flooring, stainless steel ceiling system, lead lined walls, doors and windows, new stainless steel casework, and other miscellaneous finishes. 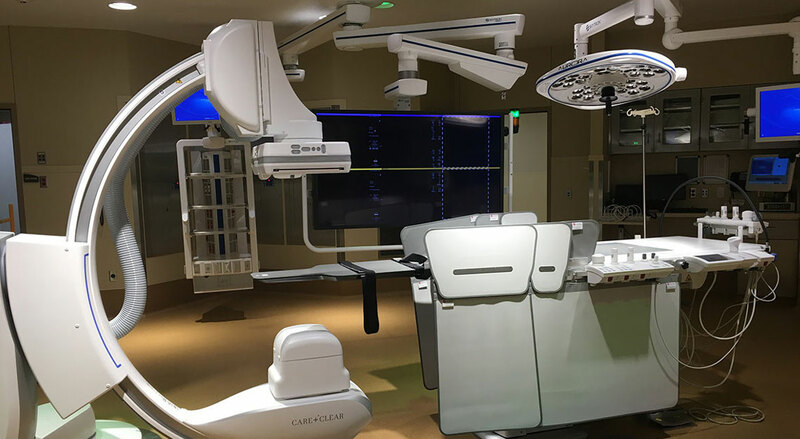 This project has equipped the VA hospital with the latest technology in the healthcare field alongside other major hospitals such as Mayo Clinic and the University of Minnesota.